Age: May be adapted to different age groups. Key question: Are we the ones who control emotions or emotions control us? To contribute to stopping bullying in the class, school. Time: 4 workshops x 2-3 hrs (1 for Forum theatre, 1 for watching and discussing the Inside Out movie, 1 for other activities about emotions, 1 for laughter yoga). Emotions recording apps: different variations in “Google Play”. Brief presentation: The digital atelier focuses on learning about emotions with the help of ICT tools, different materials, apps, movies, presentations, methods and in synthesis of different subjects. In order to successfully implement all parts of the workshop a prior preparation is necessary on the Forum theatre and Laughter Yoga, however, in this case it is aimed at implementing at least basic principles. Letting students to become responsible for solving the problem of bullying themselves (Forum theatre method). Subjects incorporated: Chemistry/biology, Arts, Native language, English in addition to Psychology, Photography, Movement, Pantomime. Civic engagement: The digital atelier contributes to subjecting ICT tools for learning about emotions and improving atmosphere in school and mental health, well-being of students; also workshops may be organised as activities that are fighting bullying. Through involvement of parents, teachers in the activity the impact is spread to wider community and may help to contribute solving some acute problems of society, for example, suicidal thoughts and depression. Some of the activities might be organised in public places to raise the awareness of the society on bullying (other acute problems may be chosen – disability, xenophobia, etc.) through the method of forum theatre and Laughter Yoga. In order to implement this digital atelier it is necessary to conduct a prior deeper analysis about different apps related to emotions, also such methods and techniques as forum theatre and laughter yoga, also to watch the movie “Inside Out” and prepare for its analysis. For laughter yoga and forum theatre no additional materials are necessary just enough space to move freely; apps used are free and might be easily downloaded (internet connection is necessary though). Materials needed: Handouts printed, multimedia, computer, DVD disk of the movie “Inside Out”, apps installed – “Mood Diary – Track emotions”, “Emoji Maker”. Workshops also successfully incorporate photography and movement. Mass media and social media connections: Students read local newspapers, internet media to understand what is going on in their city, the problems present in their city, what current issues are being discussed and how they could start thinking of contributing to their solution. How do you plan to give voice to students to present or show their personal skills and knowledge? The skills and knowledge of students might be envisaged through activities that will be offered; After each activity students present and comment their work. Also they are encouraged to express their comments, impressions on the work of others; Then their works are put on the wall or used in the next activity. Introducing students to the key question – the research begins: The main question of the research – are we the ones who control emotions or emotions control us? Action that unfolds the practical activity to clarify the question: Participants are given a pre-prepared sheet of paper with an empty face and they have to draw their present emotional state – “How do I feel”? h) Postcard to somebody from the class expressing compliments (what emotions do they feel when reading it? – happy, surprised, humble, shy or maybe angry?). Presentation of findings and results (visualization of information): The works produced are hung on the wall; a vocabulary of emotions may be composed as a book of emotions (complemented with the pictures being done when doing the above mentioned activities). Analysis of results: The first part of the workshop is being devote to the easier elements – getting to know the basic emotions, expanding the vocabulary of emotions, where are they felt. The work is a combination of theory and practice and through practice and commenting afterwards it is possible to see how the theory was perceived. 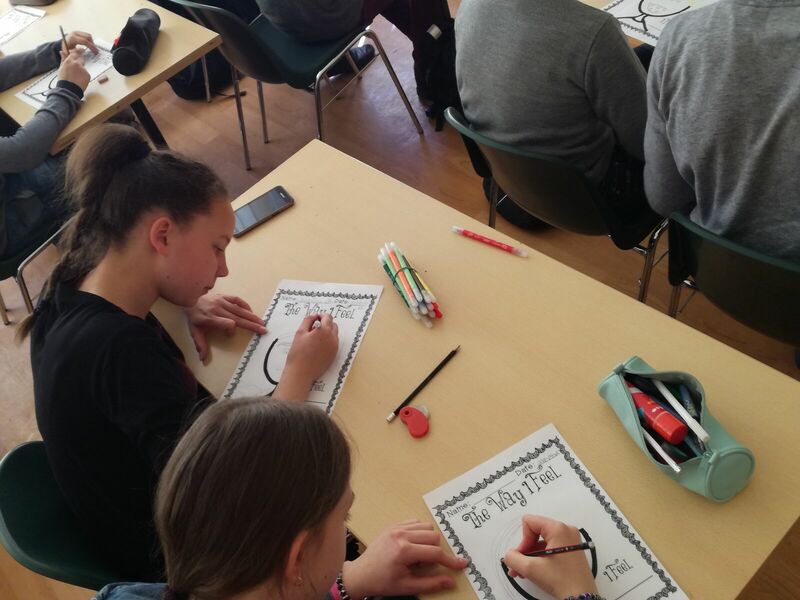 Second action that unfolds the practical activity: Let’s have fun – watching the movie “Inside Out”. Active work of the students: Prior preparation is necessary (to prepare for the analysis of the movie, to watch in advance, prepare questions, read psychological analysis of the movie – https://www.psychologytoday.com/blog/beyond-heroes-and-villains/201506/inside-out-emotional-truths-way-pixar, https://www.hollywoodreporter.com/news/8-things-inside-teaches-viewers-804052, https://gointothestory.blcklst.com/movie-analysis-inside-out-characters-418e60236f14, http://sielamaistinga.blogspot.lt/2015/10/filmas-isvirkscias-pasaulis-inside-out.html, http://www.dianalietuvininke.lt/filmas-kuris-pades-geriau-pazinti-savo-jausmus-isvirkscias-pasaulis/). e) Etc. 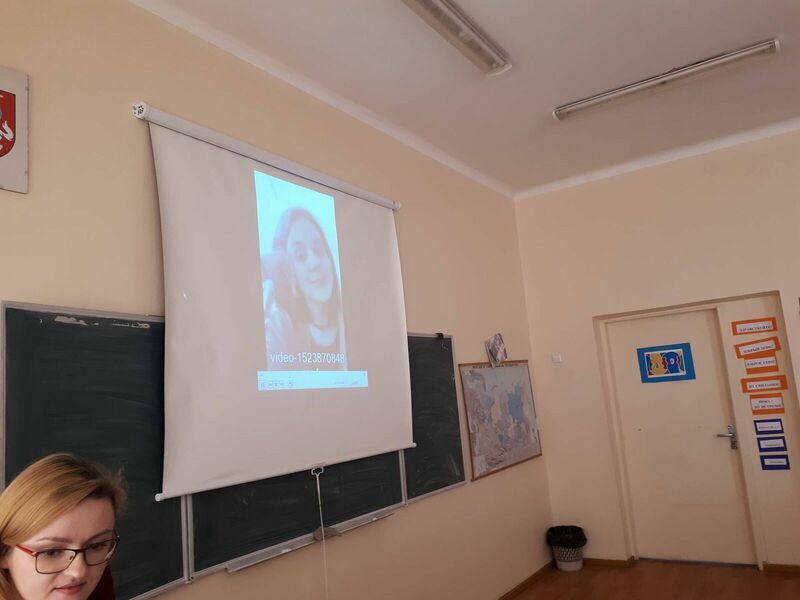 As an alternative (with senior students (17 years old), it is possible to watch the movie in English and fill in the worksheet while watching) (worksheet might be obtained from the internet – https://en.islcollective.com/resources/printables/worksheets_doc_docx/inside_out_movie_worksheet/preintermediate-a2/87547). Presentation of findings and results (visualization of information): Encouraging everybody to actively participate in the discussion, write down their answers on the sheet of paper. Analysis of results: No right or wrong answers, everybody feels free to express what they want. A deeper analysis is presented by the workshop leader in order to “lead the way” and open new horizons for the participants. Filling in the worksheet – Today I felt? Or grouping according to 5 emotions (how do I usually feel? – according to 5 basic emotions). Third action that unfolds the practical activity: What can we do to make us feel better in the class/ community? The same is being done with different situations. Presentation of findings and results (visualization of information): Visualization is performed by students (with the permission it is possible to film the performance – a camera or tablet or smartphone). Analysis of results: The analysis is performed by students themselves – they suggest the ways to improve the situation (ways to get out from the conflict situation. If the performance is being filmed, it is possible then to make an analysis altogether and suggest different ways of handling the situation. Fourth action that unfolds the practical activity: Can our body distinguish the real and fake laughter? Active work of the students: Laughter yoga sessions may start with gentle warm-up techniques which include stretching, chanting, clapping, eye contact and body movement, to help break down inhibitions and encourage a sense of playfulness. Breathing exercises are used to prepare the lungs for laughter, followed by a series of ‘laughter exercises’ that combine the method of acting and visualization techniques with playfulness. Laughter exercises are interspersed with breathing exercises. Twenty minutes of laughter is sufficient to develop fully physiological benefits. Analysis of results: Laughter yoga is based on the belief that voluntary laughter provides the same physiological and psychological benefits as spontaneous laughter. Laughter yoga is done in groups, with eye contact, jokes and playfulness between participants. Forced laughter soon turns into real and contagious laughter. Questions for discussion: 1) How did you feel? ; 2) Was it difficult to start laughing with no reason? ; 3) How do you feel now? Approach to a new software or a new app: The apps used during this digital atelier are very simple and young people are very quick to grasp their functioning. A prior preparation of the workshop leader/ teacher/ trainer is necessary to conduct forum theatre, laughter yoga and the analysis of the inside out movie. Links between the Digital Atelier and real life of the students: This digital atelier is directly aiming at helping participants to recognize their emotions, difficult situations encountered at school and methods to cope with them. Participants become the ones for suggesting solutions to the problems. Different apps used – is one of ways for emotions recognition, their expression, observation of their change during the time. How do you plan to evaluate knowledge and skills? The workshops are aimed at developing the emotional intelligence of students thus the knowledge and skills gained would be difficult to evaluate. However, it is possible to try to track emotions during the particular period when workshops are being conducted (the app is set during the first meeting and the homework is given to track emotions until the final workshop is being delivered-for example, app “Mood diary – track emotions”). In this way during the last session each participant could reflect on their mood diagram and its change (especially right after the workshops). Conclusion: This digital atelier combines different ways of participants involvement – from concrete exercises to analyzing the movie, solving concrete real-life everyday situations at school and finding the ways to cope with difficult emotions – apps to develop emotional intelligence and laughter yoga.